This page is for anything old - photos, match reports, videos or anything you might come across! Nothing in any particular order, just have a browse around. 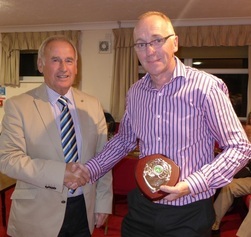 Martin Hockin has been awarded Lifetime Membership of Bideford Cricket Club. I would now like to invite Andy Davies to present this final award. The final presentation tonight is a very special award, we currently only have three life members of our club. Tonight we have the pleasure of adding to that list. The person we have selected to join our current list of life members joined the club as a colt over 40 years ago; he has only ever played for one club and now having retired from front line cricket he now works quietly behind the scenes. He has served on the committee for several years and has been working under Andy’s guidance preparing quality pitches for you all to play on. It now gives me huge pleasure to invite Martin Hockin to step forward and accept his Life Membership to Bideford CC. Below is some video footage taken by Paul Argyle in around 2005, we think! There are photos uploaded on Facebook here: https://www.facebook.com/events/904404329680224/ of the day. The North Devon Journal has more here and here. 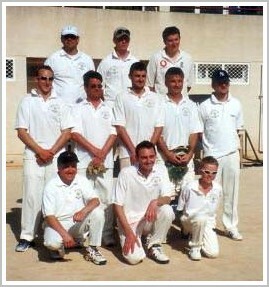 The Sunday 1st XI won the North Devon League Division One Title in a fantastic 2011 season. The team also won the Umpires' Fair Play Award for the second year in a row. Martin Stewart won the League Bowling Award. Season summary here. 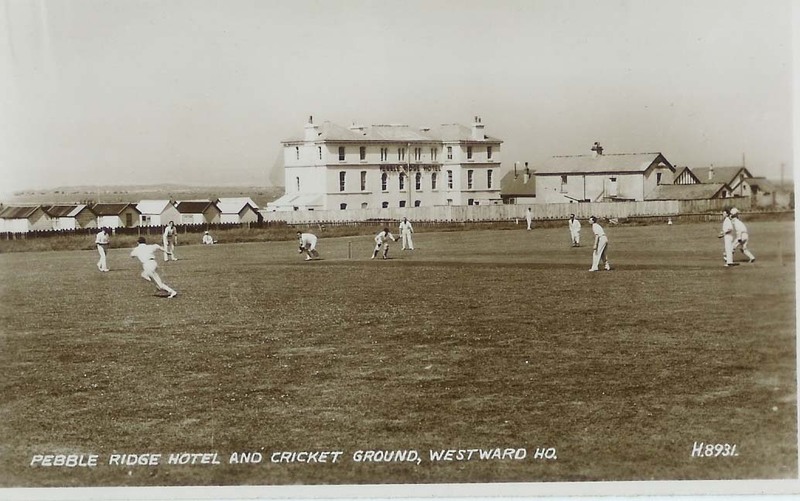 Here's a picture of the ground circa late 1950's (we believe). 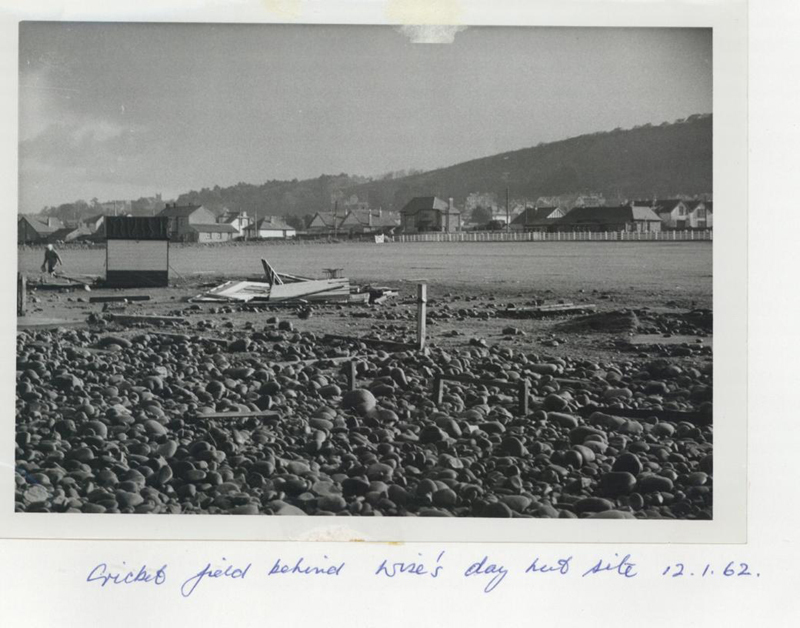 Note that the Pebble Ridge Hotel stands prominently behind where the present Pavillion is situated. And notice the Beach Huts where the Go-Karts now whizz round. Behind the Pavillion these days are modern bungalows. Thanks to Paul Argyle for this one. The Club used to play in the Vickers Credit Winter Indoor League at North Devon College until that particular competition folded. 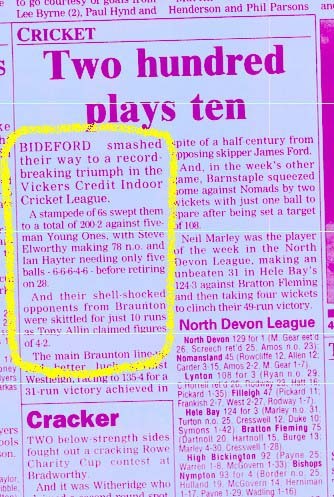 Here's a report about an extraordinary record-breaking game (I think in 1998) where Bideford scored 200 in 12 overs and then bowled the opposition out for just 10! Somerset and North Devon's Craig and Jamie Overton helped out at an Under 9s trial match at the Ho! - just a few hours after playing against Surrey at the Oval. May 2012. In 2003, the Club went on its second Overseas pre-season Tour to Ibiza. It must have done someone some good, as the Sunday 1st XI went on to win the North Devon League division 1 title. Ibiza team picture here. Much indebted to Martin Hockin's parents for this one - a newspaper report on the 1971 Season - the first season after the Cricket Clubs joined forces. Look out for some familiar names in the averages - go get 'em fellas! An 1879 photo - honest! - clearly shows Westward Ho! 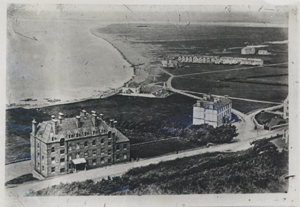 and the cricket field (top right), by the row of houses. Altogether we raised over £5000 in aid of the Children's Hospice in nearby Fremington. Despite the weather and damp conditions, around 700 people were royally entertained during the twenty20 match by Marcus & his Somerset team... Not a bad turn out for a Monday night jolly in Westward Ho! But don't forget the part the Bideford boys played in the night's entertainment too - falling only at the last hurdle to go down by a mere 13 runs - just 13 runs! It was a wonderful evening for the club and will go down as one of the best events in our history. Match report version is below download the pdf here.